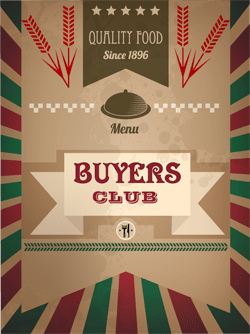 Lowland Farm welcomes the formation of personal buying clubs. A club can be made up of any group of people interested in pastured meat animals raised in a natural, sustainable and responsible manner. If you live in an area where it is not realistic to travel to the farm on a regular basis, a buying club may be the perfect option… Let us bring the farm to you! Organizers will do the leg work finding potential members for their club. Organizers will provide a place (drop off location) to receive and distribute the clubs’ orders for a 2-4 hour window on a scheduled delivery day. The frequency of delivery days, whether once a month, 3 times a year, or whenever, will depend upon the demand. Organizers will work with us to assess the ordering information and volume and adjust accordingly. If a club member cannot make it to a scheduled pick-up window, it is their responsibility to contact the organizer or another member to claim their order. All delivery, packaging, ordering, and payment obligations are solely the responsibility of Lowland Farm. Customers order and pay online, so organizers need not handle money. Any discrepancies in orders are the sole responsibility of Lowland Farm. Organizers may offer their home, driveway, garage, or place of business as a pick-up location on distribution day. There should be enough available space for our meat van to park, club members to park, and the transactions to be made. Orders will be labeled for customers so that pick-up is simple. Alternatively, organizers may partner with a gym, synagogue, church, club, or other establishment to act as a pick-up location. We anticipate that, to make sense for us, buying clubs must submit $1000 in orders per delivery. The actual amount will depend on our travel time to your location. We expect that our maximum delivery radius will be about 2-3 hours driving time from the farm; which should include most of the NY metro area and New Jersey. A major reward, we hope you’ll agree, will be access to quality meats… raised humanely and naturally, without antibiotics or hormones, locally sourced, and delivered to your home. Organizers will also receive a 20% discount on their own purchases (up to 40 lbs. per delivery). Our farm will be open to members (or potential members) to see where and how their meat is raised. Lowland Farm offers on-line ordering for all buying club members. If you live in an area with a buying club, you can order on-line and pick-up at the club’s drop-off location on scheduled distribution days. You select the beef and pork cuts you want (from whatever is in stock) and your order arrives packaged with your name on it, only after you’ve approved it on-line. After you select your items, the program will give you an estimated bill (since the actual weight of many cuts will vary). When your order has been filled, you will receive an e-mail notifying you of the actual price for the specific cuts you have ordered. At that point your credit card will be charged and your order will be complete. Your order will be individually packaged, labeled, and ready for you at your chosen pick-up location during the scheduled day and hours. If you are interested in a buying club or have some ideas on the subject, please e-mail us at info@lowlandfarm.com or give us a call at 845-481-3459.